De Anza Force announced the return of its popular recreational soccer program for the fall season. The program begins this September at Creekside Park, 10445 Miller Ave. Training starts the week of September 4 and game days are held on Saturdays from Sept. 9 through Nov. 4. 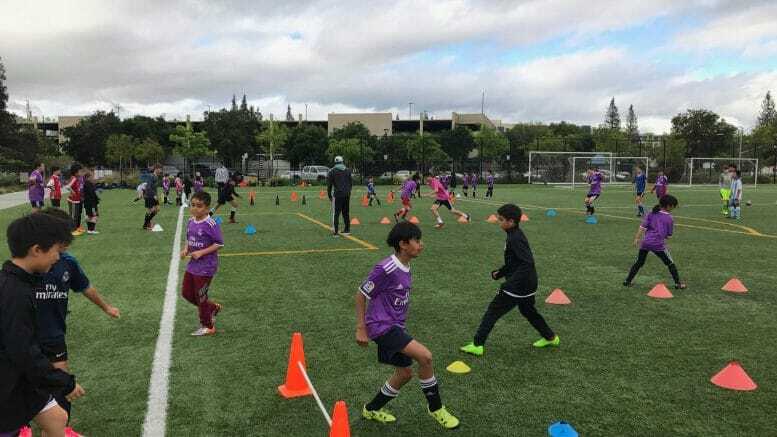 The De Anza Force summer recreational program is the South Bay’s only professionally coached youth recreational soccer program for boys and girls and is run by the De Anza Force Soccer Club, a nationally recognized, not-for-profit youth soccer club in the Bay Area. Established in 1999, the club has grown to nearly fifty competitive teams ranging in age from U7 to U18. The Force consists of 30 coaches and staff, which number 12 former professional players. Youth players aged U6-U14 are encouraged to sign up for the recreational program early, as space is limited. Players who register before Aug. 4 will receive a discount of $20. Resident rates are also available for those living within the 95014 zip code. For more details or to register for the program, visit http://www.deanzaforce.org/recsoccer. Be the first to comment on "De Anza Force Soccer Program Announces Sept. 1 Kick-off"